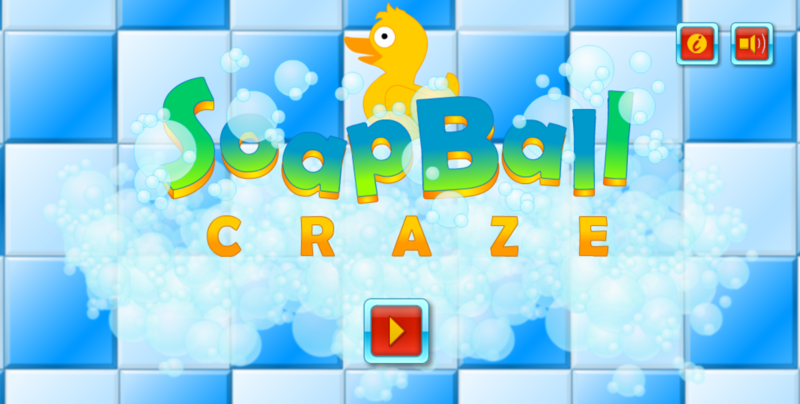 Soap Ball Craze is a HTML5 Construct 2 Physic Game made up of 24 levels. 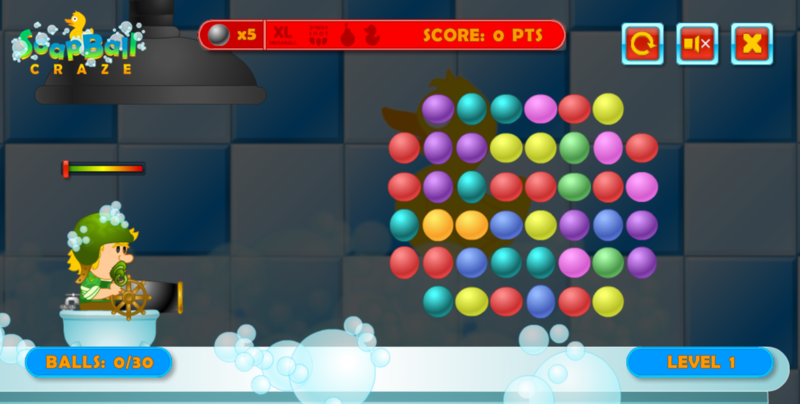 Pop all the balls required to reach the target of each level! 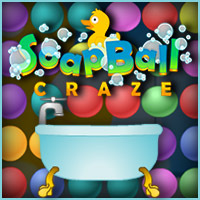 Discover all the special balls and weapons through the 24 levels of this crackling game!! Use the AdmobAds to add your ads’ ID and start monetizing with this game! WARNING: the admob plugin ID (com.cranberrygame.phonegap.plugin.ad.admob) in this guide is not updated. The latest plugin is: cordova-plugin-admobpro. You need to select third party plugins, ensure you are sourcing from the Cordova plugin registry, and enter cordova-plugin-admobpro in the Plugin ID field. We can’t offer any support for uses of the game in third party software. 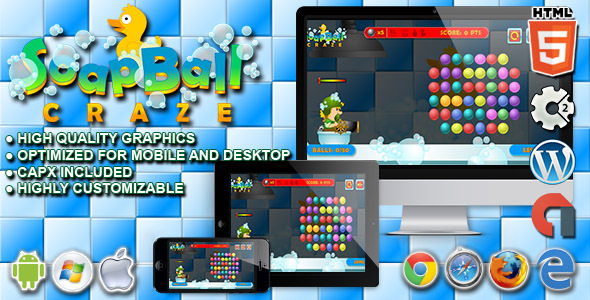 The game is fully compatible with all most common mobile devices. We just can’t ensure full compatibility with the audio on all devices. But since we have never tested them, we can’t ensure it 100% especially because we use some external plugins in our games. 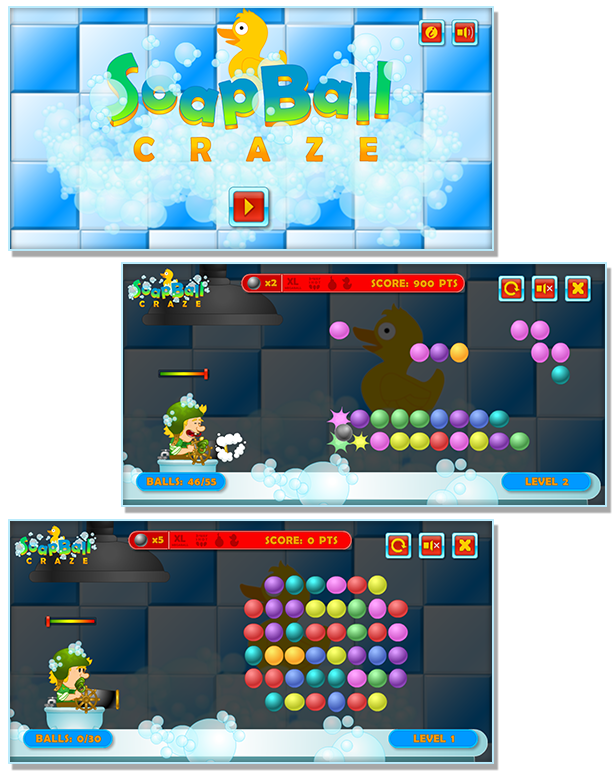 The game contains the capx file that can be modified with any extended license of Construct 2. We can’t ensure the full screen resolution on all device. The game contains some non-native plugins / behaviors you need to install in Construct2 if you want to modify the game. Please refer to the documentation for a detailed list of these plugins/behaviors and their link. 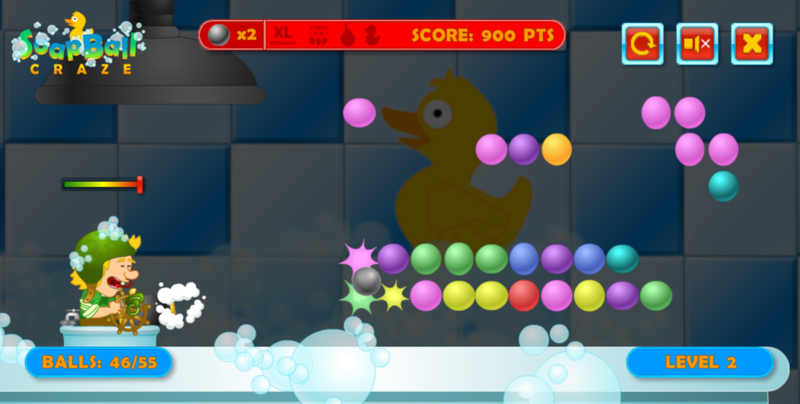 This game is fully compatible with CTL Arcade A Wordpress Plugin that allows you to create a real arcade on your website.